“Debut Record of the Year” from the Huffington Post & All About Jazz plus “Top 5 Debut Records of the Year” from NPR Jazz Critics Poll. 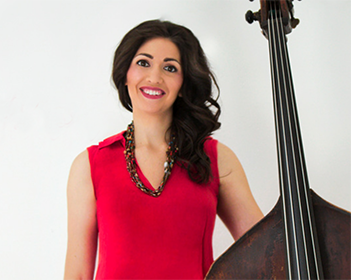 Katie carries on the hard swinging tradition of such bass masters as Ray Brown and John Clayton, while channeling iconic singers like Anita O’Day, Chet Baker and Ella Fitzgerald. She offers in-the-moment jazz that draws upon the rich history of the music, from swing to bebop and beyond. Come join us to catch this rising star!